Or complete our online Reservations enquiry. Our recently upgraded chalets are nestled in lush bush and within walking distance of the dining hall. They are ideal for couples or friends sharing. There are 6 chalets able to accommodate 2 guests each, all with en suite facilities. Our third lodging option is our exclusive camp, Intaba, ideal for honeymooners, families and private gatherings. Intaba Camp is normally hired on a self-catering (dry-camp) basis, or we can provide a chef, waiter and meals by prior arrangement. Situated close to the dining hall and conference centre, our bungalows are the ideal accommodation for training groups sharing, as well as families on a budget. There are 6 units, each able to accommodate 4 beds. All units have en suite shower and toilet facilities. Our uniquely decorated dining hall, lounge and bar area is a great place to spend some quality time with friends, family or colleagues. In addition to the delicious home-cooked meals prepared by our experienced chefs, there is a tea and coffee station, satellite TV and Dart board. 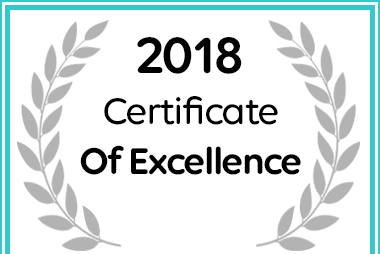 Dimba Safaris for Self Catering in Victoria Falls has received a 2018 Certificate of Excellence Award.